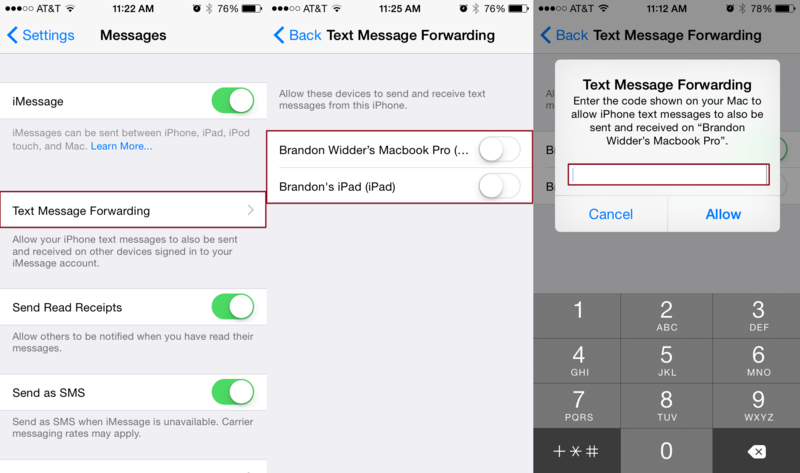 Step 1: To set up iMessage and SMS forwarding on your iOS device, navigate to the main Settings menu and tap Messages. Step 2: Toggle on iMessage and ensure you’re logged into the same iCloud account as all other devices using Messages. Also, make sure all of your devices are connected to the same Wi-Fi network. Step 3: Tap Text Message Forwarding, toggle the switch directly right of the Apple device to which you want to send SMS messages, and then enter the six-digit confirmation code displayed on the device. Doing so will confirm that you want to send and receive messages from your iPhone on your Mac, and confirm you own the machine. Step 3: Tap on the three-dot menu icon and select Messages for Web. Step 4: Tap Scan QR code and use your handset to scan the QR code from the Android Messages homepage. If you aren’t sure how, here’s a guide on using QR codes with today’s smartphones. This will link your device and your browser, and you’ll see messages and contacts appear on your other device as they synchronize. If you want to retain the synchronization between devices so that you don’t have to scan the QR code every time, you can hit the Remember this computer toggle in your web browser. 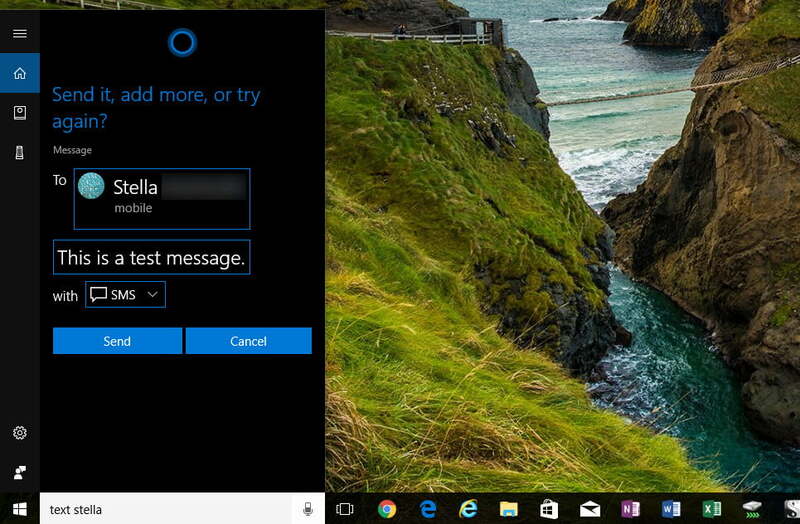 If you use an Android phone (or an old Windows Phone) and Windows 10 on your computer, you can easily send a text using Cortana. If you happen to have a Windows phone, just start typing the word text in Windows 10 search bar, followed by the person you’d like to contact. Assuming your computer and your phone are both signed into the same Microsoft account, Cortana will figure out who you want to text and ask you what you’d like to say. Step 2: Make sure the linked Cortana app on your Android device is set to push and receive text messages to and from your PC. 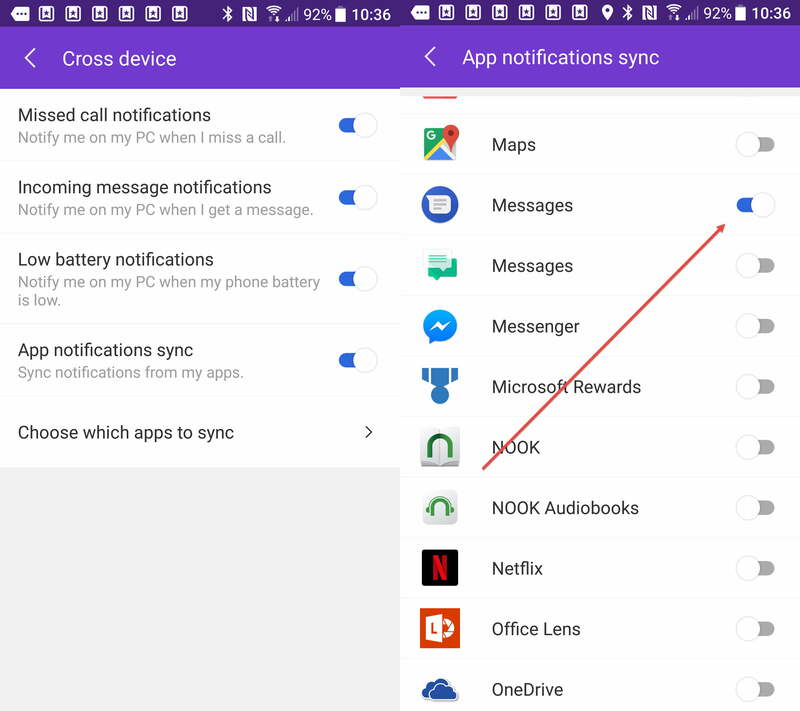 Start by heading into Settings, then Sync notifications, and make sure Apps notifications sync is switched on. Step 3: Tap Choose which apps to sync and select your device’s messaging app. Once both platforms are configured, you can send a text message to a Microsoft Account contact by simply saying or typing the word Message in Cortana’s text field in the Windows 10 taskbar. Cortana will then expand and provide fields for choosing your desired recipient, typing your message, and choosing the SMS option. Users can actually expand on that command with Message [insert name] or Text [insert name], which will allow you to automatically select a recipient. You can even take things further, if you want to include additional context. For instance, you can say Message [insert name] Did you already leave for work? As our last option, you can send an SMS to a mobile phone without the need of a third-party service — you can do so directly within your email client by emailing the right carrier. Don’t know what mobile carrier your friend uses? Find out here. Note: For T-Mobile, include 1, which is the U.S. country code, before the phone number.